DSG (Direct Shift Gearbox) transmissions are quite possibly the most popular type of “dual clutch” transmission on the road today. 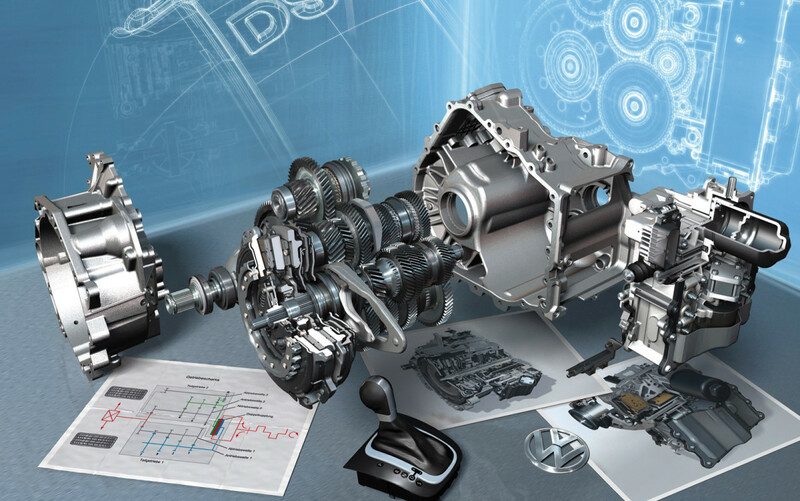 Designed by BorgWarner and licensed to the Volkswagen Group, you will only find these gearboxes in VAG vehicles, such as Volkswagens and Audis. 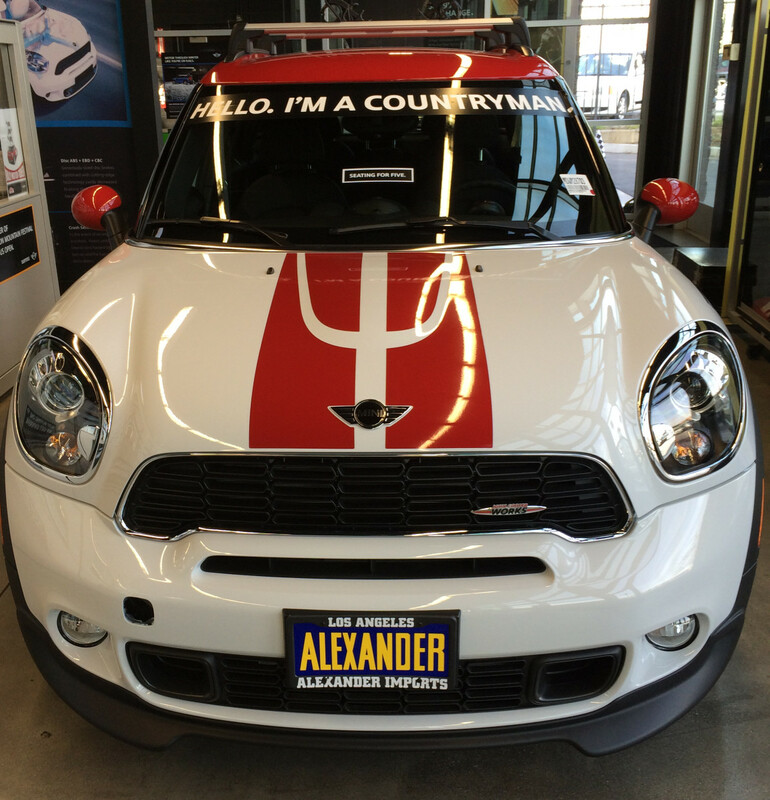 But a common misconception, among those in and out of the trade, is that “DSG” refers to only one transmission. In fact, there are a number of transmissions under the DSG banner, and in this article we’re going to go over what they are and some of their differences. 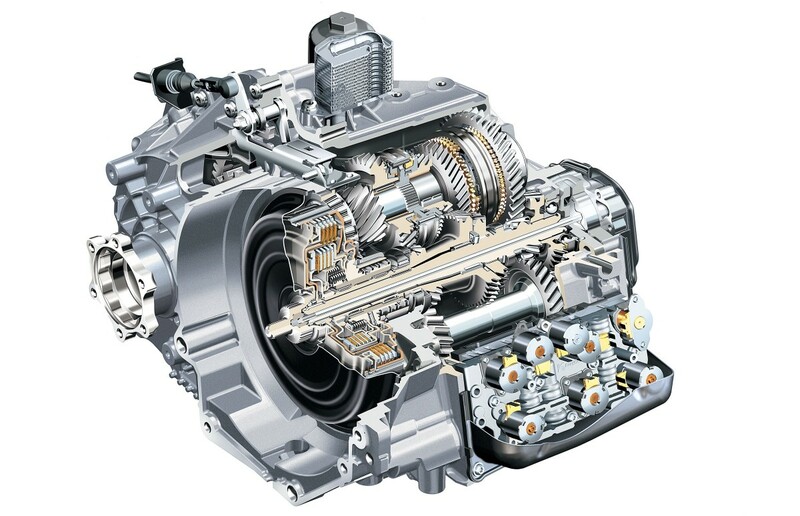 It’s also worth noting that, such is the popularity of the DSG transmission, people may often refer to other dual clutch transmissions (such as Gertrag’s Powershift) as DSG. This article will only be looking at actual DSG transmissions. 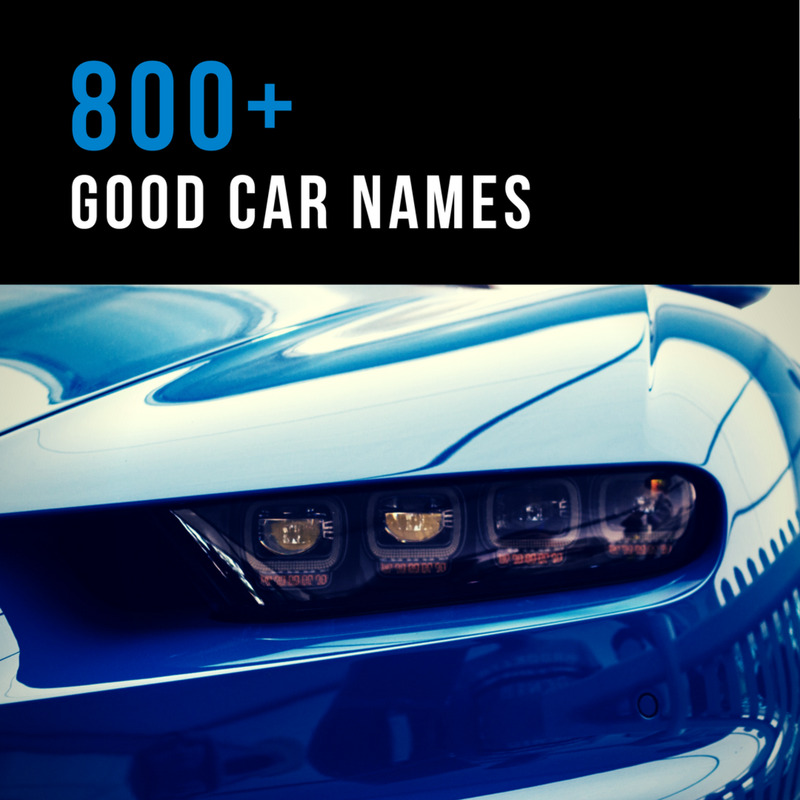 It is also not a comprehensive list, but will cover the main variants. There are differences (some more subtle than others) between the various flavours of DSG, but there are also commonalities. Before we get into what sets each DSG transmission apart, let’s look at the aspects that are the same. Though the fine details change, all DSGs operate on broadly the same design. That design involves a control unit, a dual clutch assembly, and gears. 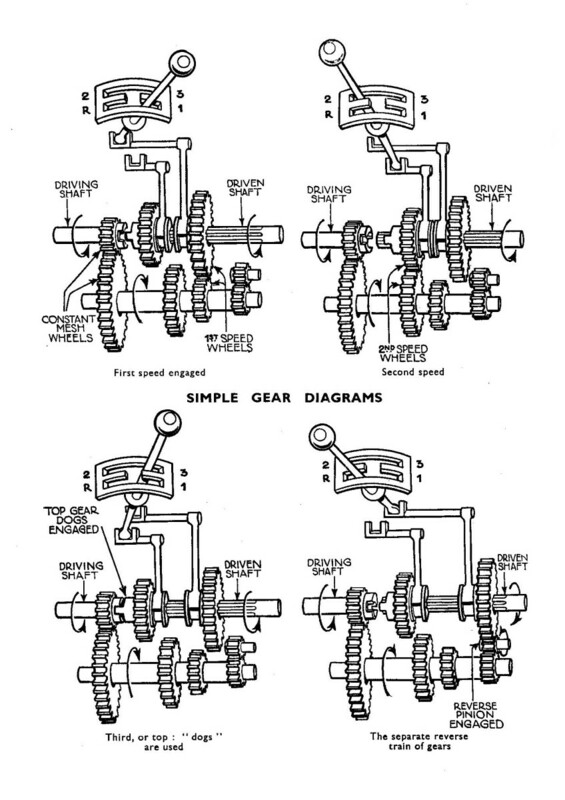 The gears, unlike a more traditional automatic transmission, are like the kind of metal cogs and syncros you’d find in a manual transmission, and are operated in much the same way. This allows the DSG transmissions to be more efficient as they don’t need to carry as much oil and the amount of internal friction is reduced. 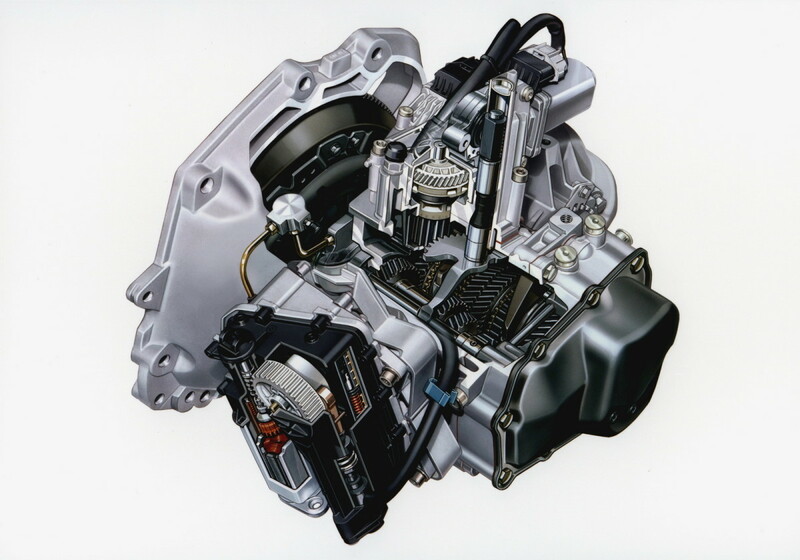 The control unit is is a mixture of electronics and hydraulics, which work together to control the various components of the transmission, and the dual clutch assembly is, as it sounds, two clutches. Of the two clutches, one applies only to odd numbered gears, while the other only applies to even numbered gears. This allows for quicker, smoother shifting than a single clutch design would be able to achieve. This is the most common of the DSG transmissions (for now). The chances are, if someone simply says “DSG”, they’re referring to this gearbox. It is a six speed transverse transmission (transverse means the engine/transmission are oriented sideways to the car rather than along the length of it) and is used in a myriad of Volkswagen Group vehicles. The dual clutch assembly in the DQ250 is wet, meaning it resides inside the transmission and is constantly bathed in oil. That oil is also used to apply the clutch. The control module is also inside the transmission. The hydraulic pressure in a DQ250 is created by a pump which is driven directly by the engine. For this reason, having enough transmission fluid in the gearbox is crucial as not having enough will likely cause the clutch assembly to burn out due to insufficient pressure. As the replacement for the DQ250, the DQ200 is often simply referred to as “The 7 Speed DSG”. In reality, the way the DQ200 is built is actually quite different. For one thing, the control module is a self contained hydraulic unit. 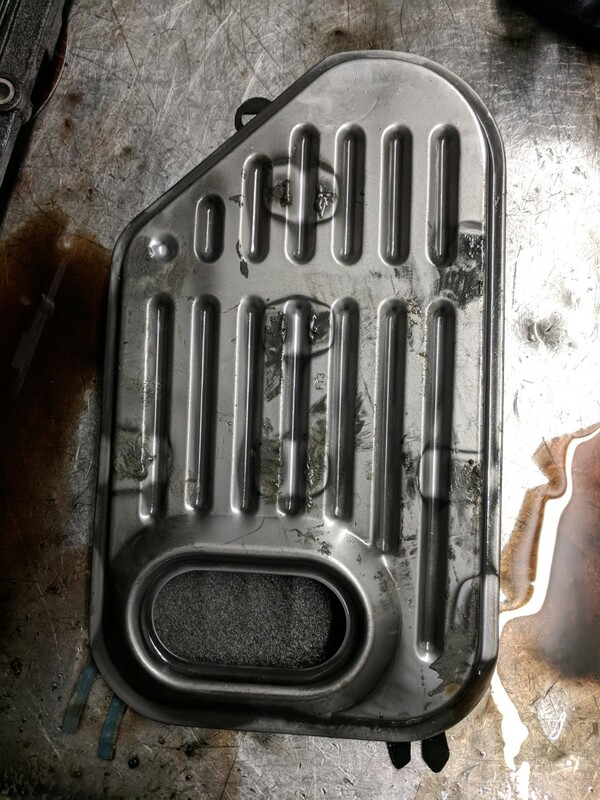 The fluid used to control the hydraulic components is completely sealed away from the rest of the transmission, and technical data on the module states that draining this fluid could very possibly damage the unit! 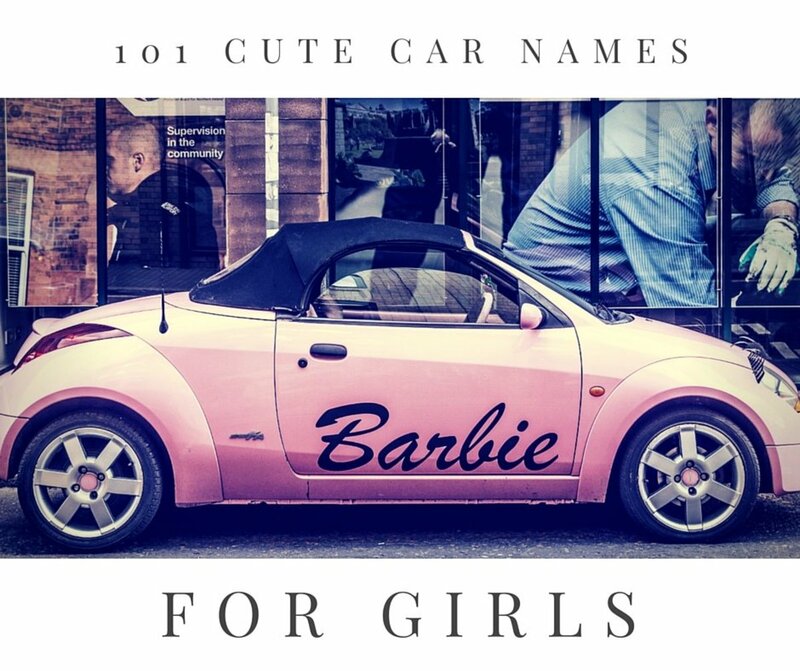 The advantage, however, is that the transmission requires considerably less fluid overall, which brings the weight down and the efficiency up. In keeping with the less fluid, less weight, greater efficiency theme, the DQ200 also makes the switch from a wet clutch to a dry clutch assembly. Though it is still a dual clutch, the clutch assembly in the DQ200 looks much more like a traditional manual clutch. Don’t let looks deceive you, however. Fitting a DQ200 clutch is far from a simple affair. It requires special tools and a particular procedure. In fact, some suppliers insist on putting mechanics through a training course in fitting them before they’ll sell them a clutch! 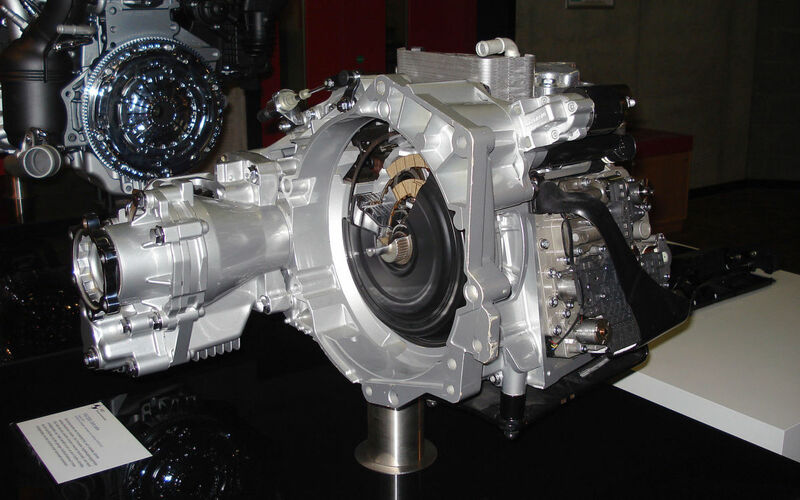 The DQ200, as of writing this article, is the only DSG transmission to make use of a dry clutch assembly. It is also at the centre of a major recall due a quite significant design flaw. This flaw—particularly in regions with high humidity—results in shorted electrical connection within the electronic control unit. This results shuddering, loss of power, and even total loss of drive, and has resulted in Volkswagen voluntarily recalling hundreds of thousands of vehicles. The DL501 is used exclusively in Audi vehicles, and unlike the previous variants in this article, it is a longitudinal (or inline) transmission, meaning the engine/transmission powertrain travel along the length of the vehicle rather than side to side. 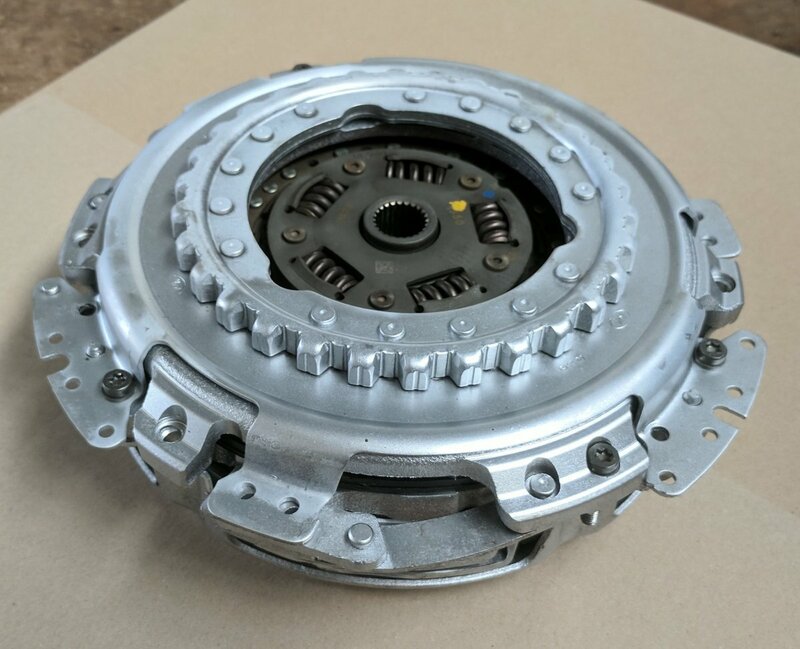 It is a seven speed transmission that makes use of a wet clutch assembly, though the clutch assembly in this variant of DSG uses considerably more clutch plates than the DQ250 model. 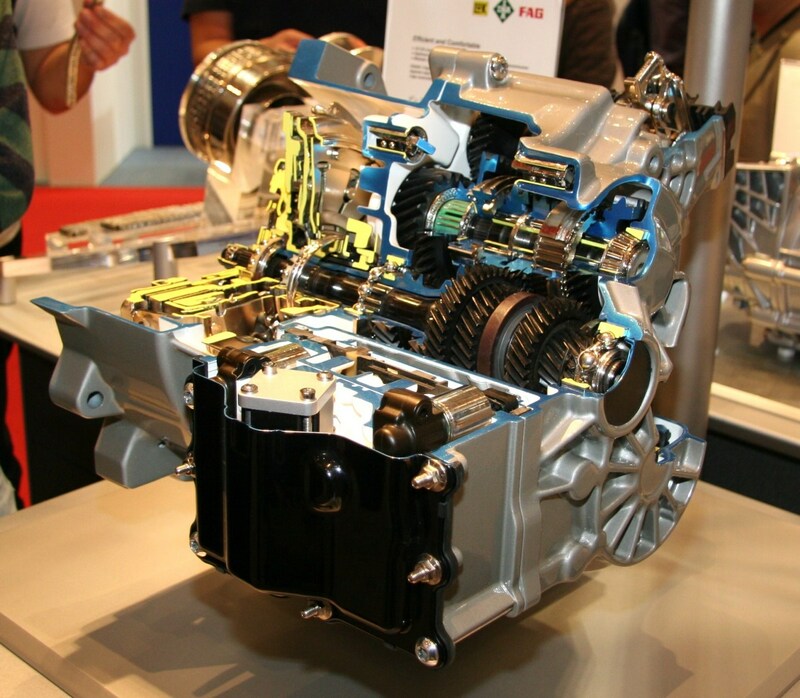 The DL501 uses two types of oil; one for the hydraulic circuit and wet clutch, and another for gear train lubrication. This differs slightly from the DQ250, which uses a single oil for all components, and the DQ200, which uses entirely separate oil for the hydraulic circuit to the gear train, and requires no oil for the clutch. The decision to separate the two types of oil was made to increase the reliability of the transmission by preventing cross-contamination between the two main points of wear and tear debris. Essentially the DQ500 is an upgraded DQ250. Still using wet clutch technology, this is a seven speed transmission that is rated for much larger loads than its sibling. As such, it was made with larger vehicles—like Volkswagen Transporters—in mind. As well as some of the more powerful smaller cars, such as the Audi TT-RS. There’s little more to say about the DQ500 as it is so similar to it’s predecessors… everything’s just a bit bigger and better. I wanted to include this transmission on the list to round things out, however technically speaking it doesn’t exist! “DQ511” was announced as the code name for a upcoming DSG transmission that would have been a ten speed dry clutch design. Working from from the design of the DQ200, the DQ511 would have provided better efficiency and smoothness of driving by simultaneously shortening the individual gear ratios and increasing the overall range between first and top gear. I speak in past tense because, as of writing, plans for the DQ511 have been dropped. And while the possibility of a future ten speed DSG transmission have not been definitively ruled out, it does seem like The Volkswagen Group have their sights set on different methods (such as electric motors), rather than just improving the existing DSG design. And there we have it. There are other variants in the DSG brood, such as the DL382, which is essentially a front wheel drive version of the DL501, but the differences are minimal. How would you rate the DL501 bs the DQ250 for reliability and cost to maintain?